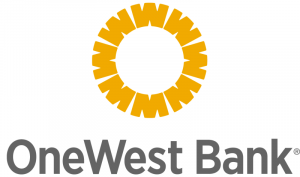 OneWest Bank has 70 retail branches in Southern California. While OneWest Bank doesn’t charge its customers any ATM fees, customers may be charged with an ATM surcharge fee by other banks. Its offerings include business checking and savings and business lending services. It has a B- Better Business Bureau rating and a mix of negative and positive reviews online. OneWest Bank operates 70 retail branches in Southern California. It lets its customers use any ATMs without a fee. However, they may be assessed a surcharge by the owner of the ATM or other banks. You can use its branch locator to see what locations are closest to you. OneWest Bank also offers the following business services: business savings and money market accounts and wealth management as well as Small Business Administration, business, equipment and real estate loans. It currently doesn’t offer business lines of credit and business credit cards. Find out more about its small business offerings on its website.